ASTM A312 TP 304H SS Seamless Pipes Suppliers, 304H Pipes Manufaturer, Stainless Steel 304H Cold Drawn Pipes Stockholder, SS 304H Pipes Exporter in india. MBM Tubes is one of the renowned manufacturer, exporter, stockist, stock holder and supplier of a qualitative range of Stainless Steel 304H Seamless Pipes that are being designed as per the national and international standard quality of raw materials. SS 304H Pipes are used in one of the best range of varied industrial purposes and also used to connect pipes for most of the part. 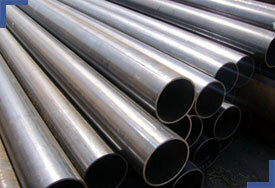 304H Cold Drawn Pipes have been fabricated in such a way so as to acquire new high points in the industrial front. We provide Stainless Steel 304H Pipes in different sizes, shapes, thickness and standards as per customized requirements given by our customers. Stainless Steel DIN 1.4301 Seamless Pipes Stockist, SS UNS S30409 Seamless Pipes, Stainless Steel 304H Cold Drawn Pipes, JIS SUS 304H Seamless Pipes, Stainless Steel 304H Seamless Pipes in India.